PricewaterhouseCoopers Internships offer opportunities for college students who are majoring in accounting and finance a chance to experience their skills in action in a real-world setting. Accounting internships are offered in a wide range of geographic areas. Recruiting for interns is done on campuses throughout the country during the year. The Start program is designed for students from freshman to junior year. It exposes them to the business world by challenging them to real life projects that serve real clients. Students will also have a chance to shadow a more experienced employee. The Challenge program is for freshman to graduate students where they learn more about high-level tax policy issues and focus on decision-making skills and competition. Other programs include Elevate for college sophomores and juniors that teaches students how to identify and strengthen their leadership skills, and the Advance program for seniors that exposes students to real career opportunities. 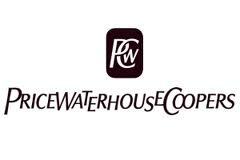 PricewaterhouseCoopers provides tax and advisory services to clients in 158 countries. They are headquartered in New York. In 2012, they were rated No. 1 in the Top 50 Companies for Diversity by DiversityInc. Magazine.